RM655 was new to London Transport in January of 1961 and was allocated to the Wood Green Depot in April of that year. 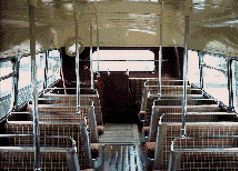 It was one of a standard batch of vehicles that was fitted with an AEC engine and a Park Royal body. 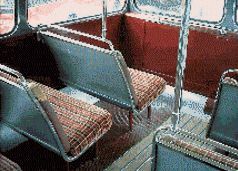 In 1981 during its last major London refit the engine was changed to the Leyland 0600 unit it has today. During it’s twenty-four years of service around the Capital it carried the famous red livery of London Transport. 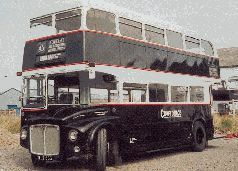 This was changed to its current Black and Grey livery in 1985 when she was purchased by Confidence Bus of Leicester. She was given the fleet number 15 and was used on local factory works contracts, and to transport local children to school around the city up until 2003. Although it is still used occasionally for private school contracts when required. Her main role these days is private hire and society weddings etc. RM655 returned to London in July 2004 to take part in the 50th Birthday Celebrations In the Capital to celebrate 50 Years of the Routemaster bus. 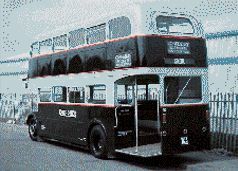 August 1985 – sold to Confidence Bus & Coach Hire of Leicester. Gearbox AEC direct selection/automatic 4 speed with electrical control and air operation. Brakes Continuous flow power hydraulic. Steering Power assisted, 62 feet turning circle. Weight 7 tons 7 cwt unladen, 11 tons 10 cwt laden. Body All aluminium stressed skin construction. Chassis Two separate steel sub-frames. Front ‘A’ frame carrying engine, steering and front suspension.